EdTech has a long history of being misunderstood, underutilized, and of lacking support in every way. It is one of those bugaboos in education that seems like such a wonderful idea, but often falls apart in execution as money fears cause administrators to scale back. Lacking proper follow-through lessens the efficacy of even the best in educational technology – and that’s just a plain old waste of money. Educators need support, but it’s nearly impossible – and very expensive – to put together an in-house ed-tech support team. And with 80% of schools now using cloud-based data storage, adequate tech support is crucial. Districts are limited by their budgets and the size of their staff. Any large-scale upgrades or maintenance can take forever and tie up literally every member of the IT support team. When there isn’t anything big going on, layoffs have to come down. Otherwise, there are too many people drawing salary and benefits for almost no work. That’s obviously untenable, so the default is to simply under-staff and makes do (which never works out optimally). It’s an unenviable position to be in as an educational administrator. The solution is third-party tech support services. Schools Are Already Doing It, And It Works! Transportation, software support, substitute teaching, accounting…the list of third-party contractors in education keeps growing. Utilizing a third-party support contractor makes even more sense than some of the other contracts your district may have. IT gets highly technical and specialized. The skill set necessary to cater to a school or district’s needs is worth more than most schools can afford – especially in the public school system. Plus, districts usually have SaaS applications – “software as a service.” These are applications licensed by schools that have native help sections. SaaS as part of licensing contracts gives districts the ability to call for tech support via phone, email, chatbox, or scheduled in-person service calls. Contracting out for IT services in general works in much the same way. Imagine having extra staff available when needed who just disappear when the need is gone. Contracting with a firm gives the school access to additional staff in emergencies or planned maintenance. Jobs with a large scope can be planned ahead with the IT contractor, with funds set aside for the additional hours and workers needed for projects. Having a contractor already on the books makes it easier to plan and bring in more people. It makes communication stress-free because the third-party will already be familiar with the school. Expect efficient, effective response to emergencies like outages, virus threats, and data breaches. Ensure smooth, quick execution of planned upgrades with minimal disruption. Support staff by offering assistance to individual faculty members. Give faculty and staff immediate remote or in-person assistance. Even if a district is fortunate enough to have more than a skeleton crew of knowledgeable IT support staff, they likely won’t keep them long enough to become well-acquainted with the ins and outs of the district itself due to the comparatively low pay in school systems. In Ron Schacter’s “Building An Ed Tech Dream Team” (District Administration March 2012), now six years old, school IT staff might expect to start at about $55,000 for basic support, but staff such as network architects will earn somewhere around $75,000-$80,000. Those IT workers could make a lot more if they went into the private sector, so they’re not going to stay long. Thus, the supposed benefit of having someone in-house (i.e., their familiarity with the district’s needs) disappears. High turnover rates make for poor planning, disruption of services, and yearly retraining of a person or team upon whom everyone relies. It is poor planning that costs too much. Moreover, with demands on educational technology growing, having a fully functional team able to respond to small and large-scale emergencies quickly grows too expensive for even larger districts. How can smaller districts or private, parochial, and charter schools possibly keep up? The reality is that many tried-and-true methods and educational tools simply won’t cut it anymore. The world is changing, including the field of education. Districts must find cost-effective ways to keep up. Teachers are not IT specialists. They are educators and must have the resources to teach. Put the power in their hands to use Ed Tech tools the way they were meant to be used. Stop using tech experts to restart computers and advise teachers to use Internet Explorer rather than Mozilla for their new application. Don’t make a teacher ask a kid from 4th hour to fix a problem with the desktop. Being reactionary rather than planning ahead always costs more. 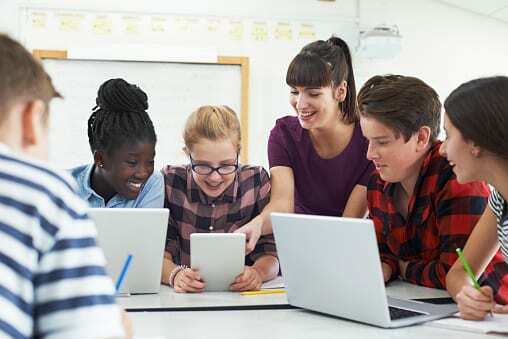 Sound planning that includes using third-party tech support offers flexibility and cost savings that maximize the educational benefits of rapidly evolving educational technology. When it comes to schools, you simply don’t have the resources to waste.